As of 1 July 2016, all organs of state were required to have established and adopted a supply chain management policy for infrastructure procurement and delivery management. This requirement is in terms of the Standard for Infrastructure Procurement and Delivery Management (‘the SIPDM’). Promulgated during October 2015, the SIPDM is a National Treasury Instruction issued in terms of Section 76(4)(c) of the Public Finance Management Act 1 of 1999. It is binding on all organs of state (inclusive of municipalities and their entities), and establishes a control framework for infrastructure delivery management. The SIPDM also prescribes the minimum content that must be included in the Supply Chain Management (‘SCM’) policies for infrastructure procurement and delivery management (separate from the SCM policy for general goods and services) of all organs of state. The SIPDM seeks to guide organs of state through delivery-orientated procurement practices in infrastructure projects, which ultimately have a direct bearing on the contracts concluded, pursuant to such processes. It further establishes certain contract management principles that have been formulated with the view of benefiting organs of state in achieving the delivery of correct infrastructure within desirable timelines and most importantly, at the best price. Some of the significant features of the SIPDM are discussed below. The SIPDM acknowledges that there are three key phases to the delivery of infrastructure: planning; design; and execution. It establishes a nine-stage control framework that stipulates minimum requirements that an organ of state must meet in order to progress from planning to execution. The nine stages include: inception; infrastructure planning; strategic resourcing; pre-feasibility; feasibility; design development; design documentation; works; handover; and close-out. In turn, each of the nine stages (preceded by stage 0) requires vigorous assessment and must be endorsed by those assigned with such responsibilities in terms of the SCM policy. Organs of state are required to establish an infrastructure plan which identifies and prioritises projects and packages against a forecasted budget over a period of at least five years. This requirement encourages proper planning and may have the desired result of improving budgetary allocations and militating against the phenomenon of ‘budget creep’. This requirement is directly linked to the separate annual financial reporting requirements that National Treasury now requires organs of state to comply with. The SIPDM requires that infrastructure projects which exceed a particular threshold undergo gateway reviews. The reviews (to be headed by a suitably registered professional) are designed to interrogate the feasibility of delivering those particular projects. To sustain objectivity, it is required that the reviews strictly be undertaken by individuals who have not participated in the inception of the project(s), up to and including the completion of stage 4. Notably, the SIPDM envisages National Treasury being able to form part of any gateway review being undertaken. One of the strikingly beneficial innovations of the SIPDM is the establishment of Procurement Gates 1 to 8 (‘the Gates’). These Gates give guidance on the steps to be followed between establishing what it is that needs to be procured, to the conclusion and eventual termination of a contract. 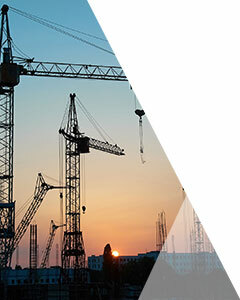 With experienced professionals evaluating the capabilities of bidders, Gate 5 assists in ensuring that appropriate contractors are appointed for particular projects. The net effect of this being that it may limit delays that often arise as a result of inexperienced contractors having to redo works. amending or terminating a contract. Among other considerations, Gate 8 is vital as it enforces a mechanism to curb cost overruns in infrastructure projects (which benefit contractors to the detriment of employers); and to decrease the likelihood of organs of state entering into disputes when it may not be desirable or commercially viable to do so. Non-Compliance with the SIPDM: What Does It Mean for Organs of State? There can be no debate as to the binding nature of the SIPDM. 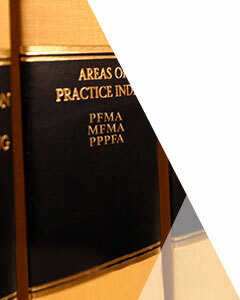 It is an Instruction issued in terms of Section 76 of the Public Finance Management Act 1 of 1999 (‘the PFMA’). Thus, a failure to comply with the requirements of the SIPDM is a failure to apply the prescripts of the PFMA and the Municipal Finance Management Act 56 of 2003, respectively. There is an argument to be made that all infrastructure-related tenders issued, evaluated and awarded outside of the parameters of the SIPDM after 1 July 2016, may be susceptible to review proceedings in terms of the Promotion of Administrative Justice Act 3 of 2000 (“PAJA”). “Section 217 of the Constitution is the source of the powers and function of a government tender board. It lays down that an organ of state in any of the three spheres of government, if authorised by law may contract for goods and services on behalf of government. However, the tendering system it devises must be fair, equitable, transparent, competitive and cost-effective. This requirement must be understood together with the constitutional precepts on administrative justice in section 33 and the basic values governing public administration in section 195(1)”. It is questionable whether a tender process that does not accord with the set legal prescripts can be compliant with the broader regulatory framework that was emphasised by the Constitutional Court in the Steenkamp decision. Secondly, regard must be had to the fact that the SIPDM requires inter alia, that an appropriately qualified professional constitute the evaluation committee of an infrastructure-related tender. The question that arises in respect of tenders conducted outside of this stipulated requirement, is whether they are susceptible to legal challenges instituted on the basis of an irregularity. Our courts have recently grappled with the effect of irregularities in tender processes. 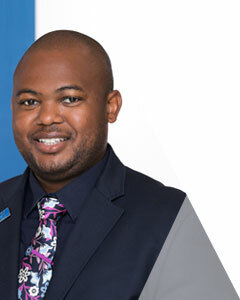 Clarity and guidance was provided in the watershed decision of Allpay Consolidated Investment Holdings (Pty) Ltd and Others v Chief Executive Officer of the South African Social Security Agency and Others SA 604 (CC); 2014 (1) BCLR 1 (CC). This matter arose from the tender process for the distribution of social grants, on behalf of the South African Social Security Agency. The central issue was the question of irregularities that had materialised during the evaluation and adjudication processes. Among others, the Bid Evaluation as well as Bid Adjudication Committees meetings had not been constituted in compliance with the established procedures. The Supreme Court of Appeals (“SCA”) decided that these irregularities were inconsequential and could not therefore culminate in the tender process being regarded as having been unlawful. On appeal in the Constitutional Court (“CC”), Justice Froneman considered the issue closely and came to a different conclusion. The CC stated that the proper approach is to establish, factually, whether an irregularity occurred and then legally evaluate the irregularity in order to determine whether it amounts to a ground for review under the PAJA. The CC determined that the legal evaluation must, where appropriate, take into account the materiality of any deviance from the legal requirements by linking the question of compliance to the purpose of the provision, before concluding that a ground for review has been established. The Constitutional Court finally stated that the potential practical difficulties that may flow from declaring the administrative action constitutionally invalid must be dealt with under the just and equitable remedies provided for by the Constitution and PAJA. Based on the above rationale, the Constitutional Court decided that the SCA had been incorrect in its approach as procedural irregularities could not be ignored once it was established that they gave rise to a ground for review under PAJA. Based on the decision in Allpay, it seems a compelling argument that evaluating and adjudicating upon a tender submission in the absence of a suitably qualified professional would be declared irregular in an instance where the SIPDM specifically stipulates this. Whilst the repercussions of non-compliance with the SIPDM are uncertain, it surely cannot be in the best interests of any organ of state, to have its infrastructure procurement processes delayed by disputes that can be avoided. Moreover, the failure of an organ of state to comply with the SIPDM can attract an audit finding by the South African Auditor-General. This is most undesirable when considered in light of the Auditor-General’s recent request to the National Assembly for more powers, so as to give additional force and effect to the recommendations of the office of the Auditor-General.